Home › Style › Vegetables in the form of sheets! The savior of modern-day dining. All about the VEGHEETS, made from all-natural raw materials. One day, the producer at Vegewel sent us a link of which we opened to find a certain product by the name of Vegheet. 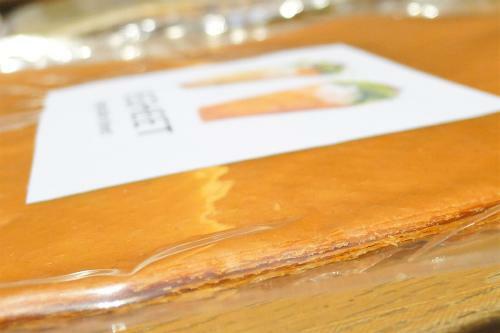 It looks like nori (sheet of seaweed), but it is made with vegetables. The wraps take on the colors of vegetables but are shaped nothing like them. The only things we were certain of were that they were in sheet-form and made from vegetables. As hard as we tried, the texture or the flavor was beyond our imagination. Vegheet – we needed to know more about it! 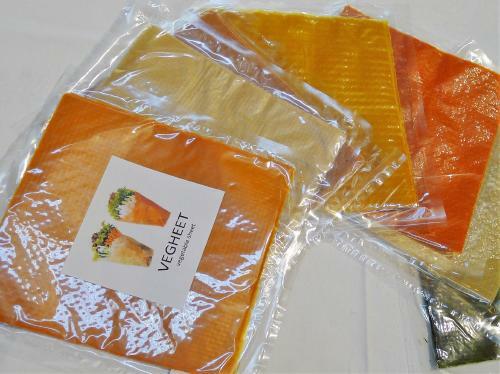 So, we wasted no time to land an interview with the founder of Vegheet, President Keisuke Soda of ISLE Co., Ltd.
1 Made entirely from vegetables and agar! Veggie + Sheet = Vegheet. 2 What are the processing methods of Vegheets? A promising alternative for non-perishable foods for your pantry. 3 Ecological and sustainable Vegheets have come to rescue modern-day dining! 4 Global expansions in the future. Vegheets to save the world! Made entirely from vegetables and agar! 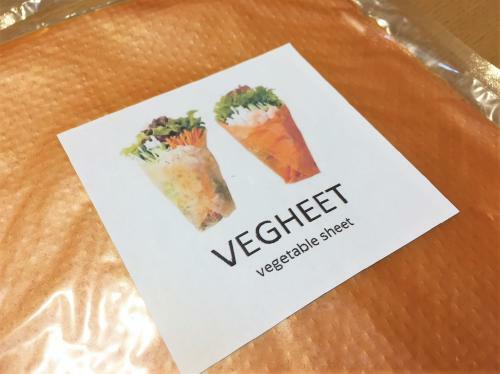 Veggie + Sheet = Vegheet. Vegheets are made entirely of vegetables and agar (kanten in Japanese), and are free of seasonings and additives. 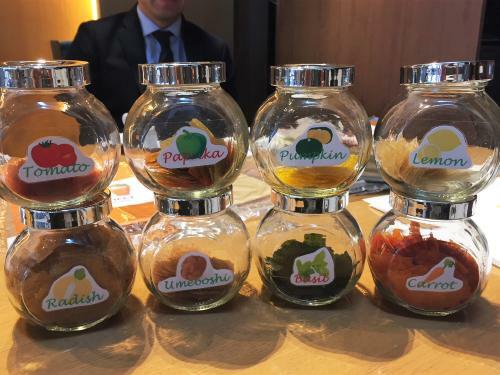 At the time of the interview, we were able to sample a variety of Vegheets. At first, we vaguely assumed that they would be like nori, but boy were we wrong. The sheets feel a little firmer than nori. They’re not so fragile, but rather pretty solid. The texture is a little hard compared to nori. Nori has the initial crispiness, but the Vegheets are chewier. They contain kanten, so they’re probably more filling than they appear. The biggest surprise was the flavor! Every type of Vegheet still retained the taste of the vegetables. Because they are unseasoned, they are full of the natural flavors of the vegetables. The carrot flavored one tasted especially sweet. The vibrant color is beautiful, too. 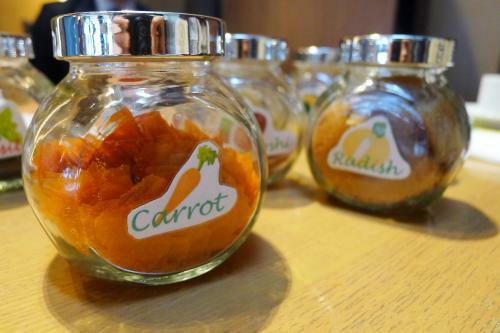 One Vegheet contains approximately 36g of carrots, so 3 sheets will amount to roughly a whole carrot. The basil flavor is bursting with the flavor of the herb! They would be great to use finely chopped as toppings over pasta or mixed into stir-fry dishes. Other flavors are pumpkin, tomato, lemon, and radish, just to name a few. Mr. Soda carries these small pieces of Vegheets in jars for samples. The Vegheets are tasteful and available in a surprisingly wide range of flavors. But how are they able to create such perfect sheets without the use of additives? What are the processing methods of Vegheets? A promising alternative for non-perishable foods for your pantry. The processing methods of Vegheets require mixing the vegetable paste with kanten and drying them in sheet-form. It seems very simple in writing. However, it requires great skill to be able to turn simple ingredients into a simple sheet. “It is important to have the special processing technology in producing the Vegheets. This is our very own patented processing method. The methods differ according to the type of vegetable, and I am the only one who can determine the proper method in the shortest amount of time,” says President Soda. It sounds like a very advanced technology, and only Mr. Soda seems to have the complete formula in his head! ”For your information, the common nori requires about 1L of water to mix before it is pressed into a single sheet. When the water gets pressed out, so does the umami of the seaweed. 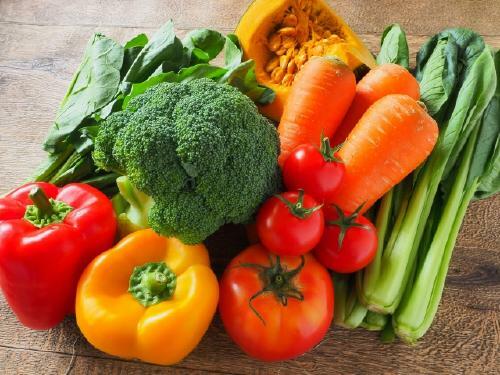 If the same method is used with vegetables, the colors and nutrients of the vegetables will get lost with the water. It usually requires 2 to 3 hours to dry the nori, but with Vegheets, the drying process only takes 15 minutes! The lack of moisture keeps them from growing bacteria, so they make for perfect pantry food. ”Vegheets have a shelf life of 2 years if left unopened. These are comparatively more lasting than the vegetables when stored as they are. We are currently faced with many uncertainties such as disasters and vegetable shortages. These non-perishable vegetables will come to great use at times like this. In fact, Vegheets are attracting some attention from the Self-Defense Forces and other fields where long-lasting foods are required. Ecological and sustainable Vegheets have come to rescue modern-day dining! Vegheets have many other benefits aside from the actual charms of the product itself. ”The Vegheets are made with the vegetables that the farmers cannot sell in the market. If the vegetables are not included in the sales route, they are treated as industrial waste. This is devastating for the farmers. The vegetables are mainly produced domestically as well. As these types of products increase, so will the domestic self-sufficiency ratio. Moreover, Vegheets are space-saving and requires little shipping costs, and therefore an excellent product in terms of food mileage. There is so much goodness in the Vegheets! Mr. Soda is originally from Nagasaki Prefecture. He continues to base his business out of Nagasaki, including the Vegheet operation which is produced in and shipped from the same prefecture. 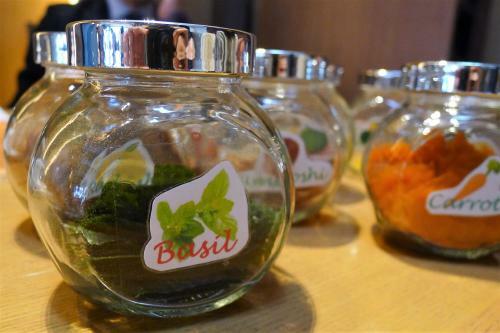 “We currently make our Vegheets entirely from the vegetables produced in Kyushu. In the past, we had vegetables delivered from other regions at each harvest, but that consequently cost us more to have the raw materials sent to us. Vegheets are made by completely minimizing the excess costs and effectively utilizing the local vegetables. They are ecological and sustainable products that perfectly go in line with the trends of the times at present. Global expansions in the future. Vegheets to save the world! Mr. Soda currently operates in Nagasaki, but the plan is to extend his line of Vegheets nationwide. Additionally, he aims to grow his business within Nagasaki. “I am considering outsourcing the business within Nagasaki Prefecture as much as possible in the hopes of revitalizing Nagasaki as a whole. 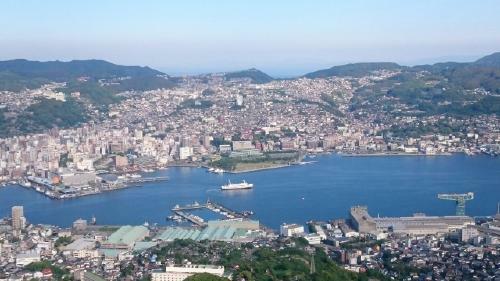 Employment is low in Nagasaki and the younger generation tends to leave the prefecture, so the population is diminishing. President Soda hopes to encourage the younger generation to play an active part in not only the domestic business but also overseas. Vegheets are gradually building their track record toward a big breakthrough in Japan. It shouldn’t be long before we witness the business take wing and expand to the world!